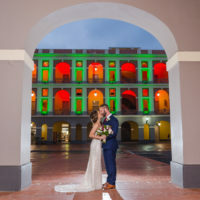 Harika and Raja got engaged, surrounded by all their friends in a beautiful beach in Old San Juan. I Traveled to New York City for a Surprise Marriage Proposal!! She said yes, and I’m so happy I was there to capture it! Patrick dropped down to one knee. Josh said YES. They hugged in what felt like forever. Their happy laughter echoed through the whole patio. It was perfect. ¡Compromiso Sorpresa en Guaynabo PR! ¡Esta vez fui parte del principio de todo! I don’t always get invited to the actual engagement, but when I do… its the best ever!